I love it when people share the projects they’ve made that are inspired by watching my videos or reading my blog. 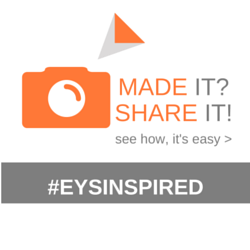 It’s truly amazing to see all that you’ve created and today is the first of my #engineeryourspace Inspired Spotlight. Every month, I’ll feature a project that one of you has made and also share the story behind it. For this first spotlight, I’m sharing a project that’s been inspired by one of my favorite things I did to my LA apartment: my IKEA bookcase Dividing wall. I love this project because it truly made my one bedroom apartment more functional by giving me a separate home office in my living room, something that’s very important to me since I work from home. Lisa also needed to create a separate home office in her living room and after watching my video, she designed and built her own version of my project. Doesn’t it look amazing?! Love her design for the top section. 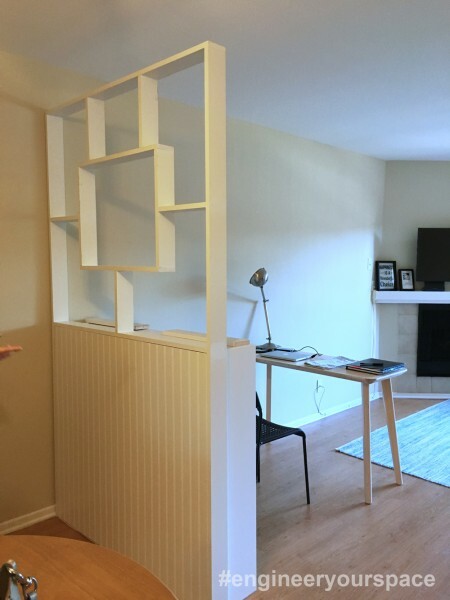 She used 2 white bookcases from IKEA and instead of using 1/4″ plywood that’s painted and wallpapered like I did, she used white beadboard paneling on the back – definitely a quicker way to go and also very classic. 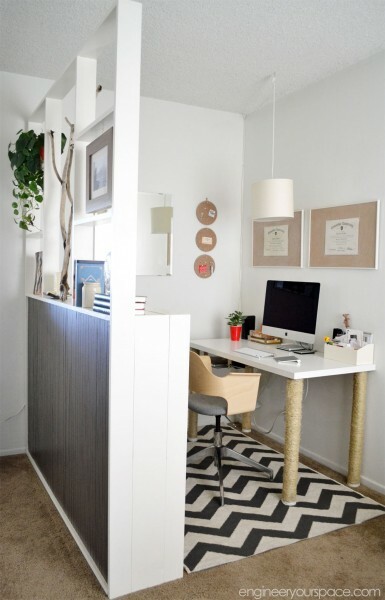 The dividing wall creates a separation from the entryway one side while creating a distinct office area in her living room, with her desk facing the main view of the apartment, the balcony. 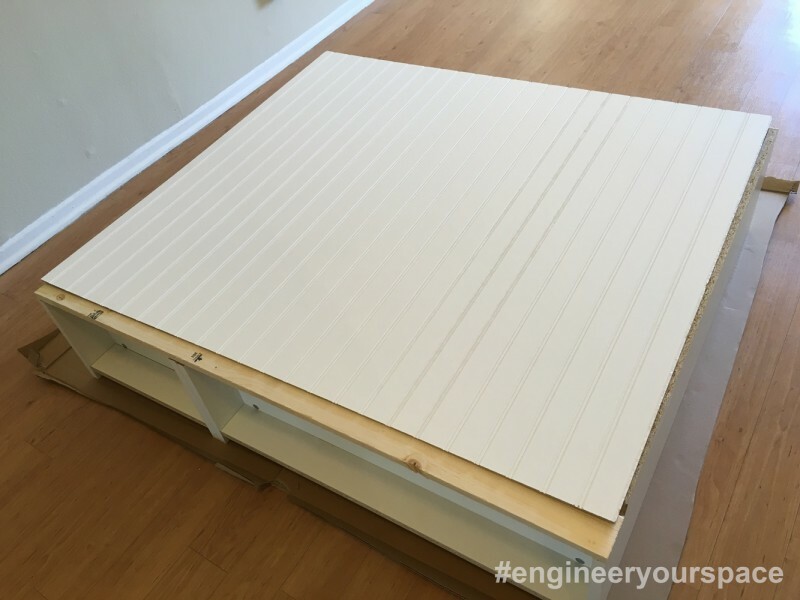 Thanks Lisa for sharing your project with us and if you want to see more #engineeryourspace inspired projects, check out my Pinterest board here. And if you made something inspired by my projects, and want to be featured, please share them with me by sending me pics along with a brief description via DM on Instagram or at info@engineeryourspace.com. 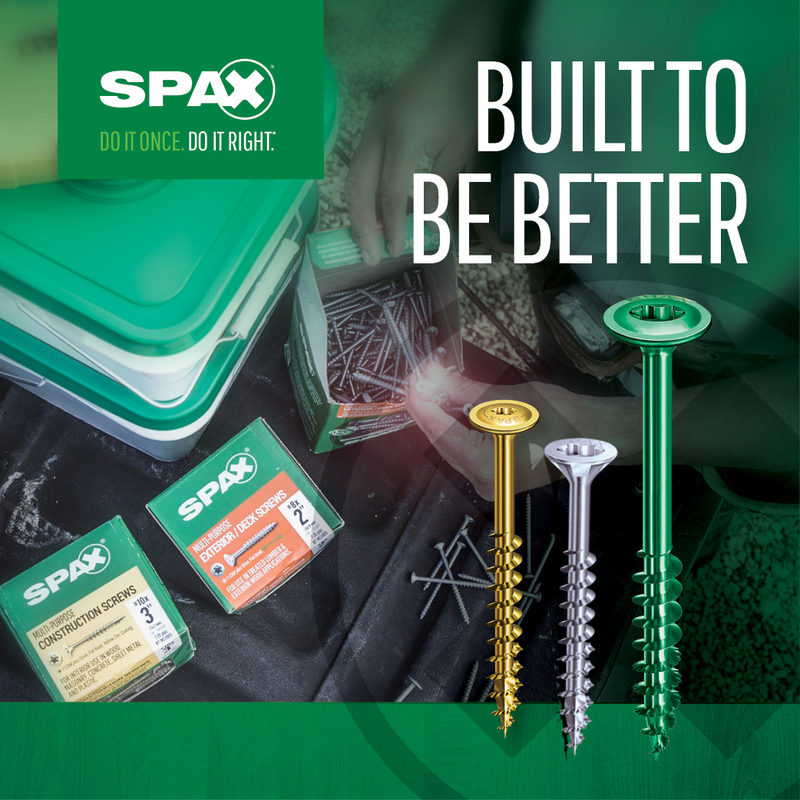 Look forward to seeing what you’ve created!